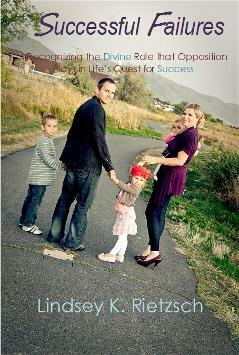 How to Date Your Spouse - Author Lindsey K Rietzsch has sold thousands of copies since the initial release in 2008. Look for this fun and insightful book at your nearest bookstore or visit the author's website for an autographed copy. When things don’t turn out exactly as planned, sometimes we wonder, “Where is the Lord?” Blinded by the opposition we face, it becomes too easy to think we have been punished or abandoned rather than gently guided in a better direction. The truth is our failures really aren’t failures at all! Learning how to find success in your failures will move mountains in your life. 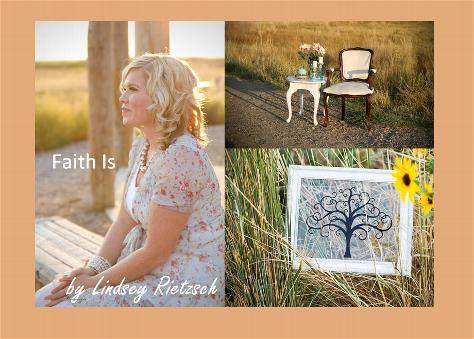 Author Lindsey Rietzsch shares her personal experiences with success and failure. As a mother, inventor, entrepreneur, speaker and author, Lindsey has been at the forefront of seeing her biggest dreams come true time and time again – only to see them often disappear as quickly as they came. On her roller coaster journey of opportunity knocking, Lindsey learned a powerful message that changed her life. By embracing this message, Lindsey found strength in the Lord and wisdom in His will. Through her faith she has been able to taste her wildest dreams and share this powerful message with the world. With this inspiring message Lindsey hopes to help transform lives by changing the way you think about failure.